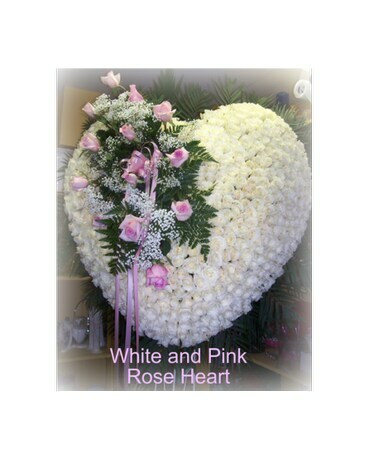 All Rose Heart with Break in Staten Island NY - Kitty's and Family Florist Inc. This Heart is made of All Roses. The colors of the roses may be changed.